Create your own t shirt with Ink Wells. 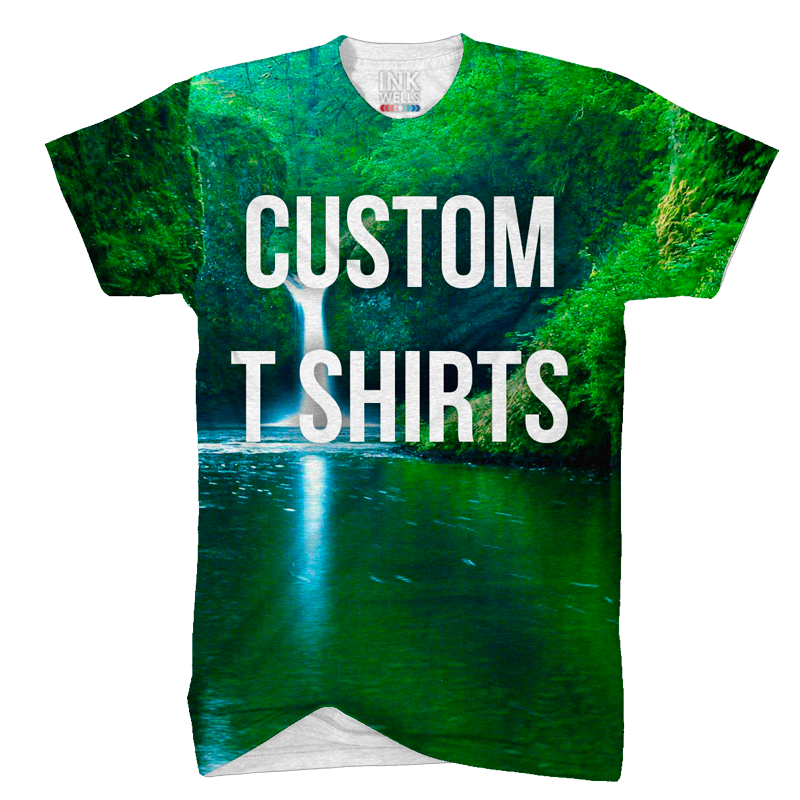 Upload your image or designs and create a one of a kind, custom printed shirt made for you. Our all over print tshirts are made from 100% moisture resistant material performance material. Start Creating -Follow instructions below. Select your favorite photo or design from your computer and upload it and place on the shirt where you want. Create your own t shirt with our custom t shirt designer. You can upload your own image or graphics and custom design a one of a kind, custom printed piece of apparel made just for you. Our custom all over print tshirts are made from 100% moisture resistant material and its kind of like an Under Armor shirt performance but feels like cotton. To start your custom design follow the instructions below. Select your favorite photo or design from your computer and upload it! We have created one of the most user friendly and innovative custom design tools that allow you to create unique all over print custom products. Upload your own photos from your computer or phone and place the images on your custom shirt. This is the most exciting thing custom designing t shirts with our software is that we allow you to extract your instagram and facebook pictures into our designer and use your favorite pics from your social media to create a totally custom product. Hearts, Triangles and ten additional shapes can be added to create your custom t shirt. All over photo printing with custom full resolution image quality can only be done using our dye sublimation print process. Our inks dye into the fabric of your garment leaving no ink feel, no residue, no cracking and no fading. Since the start of Ink Wells we have been focused on perfecting this print process as our art. Today it’s the standard for 100% product print customization. With custom t shirts, we have found that we can use a special blend of polyester and cotton to create amazing black and multi colored inks using heather blend shirts for printing. Design your custom t shirt with Ink Wells today!